God bless the dichotomy between the rich and the poor, or as the socialists call it: the gap between the lower, the bourgeoisie and the upper classes. If it did not exist, the arts would, perhaps, have to invent one for stories to have conflict, upon which many films, novels, dramas, etc. rely on to intrigue us. This has been the trend since the Victorian Age, or before, with Jane Austen’s Pride and Prejudice, Charles Dickens’ Oliver Twist down to Femi Osofisan’s Marxist-influenced plays, and so on and so forth. Class consciousness is sadly here to stay with us. Hausa film industry is equally not short of films based on this global theme. There’s a Way is just another addition to that archive, though in a new style: its language is no longer the ‘local’ Hausa one but the global English. This is one of the reasons why I had to preview the film before its release. As I said in the preview, numerous Hausa films are flagrantly, poorly subtitled in wrong English. The subtitles often serve a contrary purpose: those with little or no grasp of Hausa language end up puzzled. The shoddy subtitles also expose the educational level of the people in the industry, and by and large, their region. Worse still, the actors, at other times, use ‘Eng-ausa’, a hotchpotch English-Hausa code-switching and mixing. 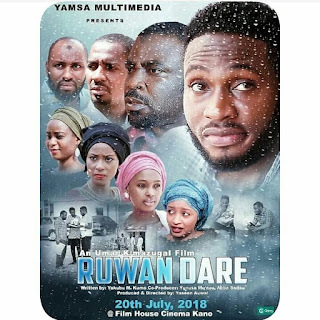 But all that will soon be history with the emergence of the second (Wasila [English version] is actually the first ever, but that was done more than a decade ago) Kannywood film in ‘Standard’ English language. There’s a Way does not only present the lower and upper classes struggle; the predatory nature of some university dons is equally bared. As a token, the women issue is not left untouched. Thus it is used to set the story afloat. The film opens with a court scene where a woman, abused by her husband, is questioned by the judge. The husband allegedly forces her to abort pregnancies six times. Isham (Nuhu Abdullahi), as a secondary student, witnesses the hearing and becomes interested in studying Law in order to assist the poor such as the wife who is evidently harmed. His dream is not meant to be realised quickly and easily. After failing his exams at least twice, Isham, a curious boy from a poor family does not have money to register at a “miracle centre”, where candidates register for exams and “nobody ever fails”. He someday accompanies his friend to the centre and mistakenly bumps into Fadila (Hajara Jalingo), whose father gives her a hundred thousand nairas (N100, 000) to register at the centre. The ‘accident’ is love at first sight. Days, perhaps months, pass, and then destiny brings them together as students at the same university. While her father every so often warns her against mingling with anyone from a poor family, Isham and his two siblings are orphans raised by their sick mother. As expected, Fadila’s father, Alhaji Mahdi (Sani Mu’azu) someday finds out that she has invited Isham to the house, though with the consent of her mother. He blasts them and chases Isham out. 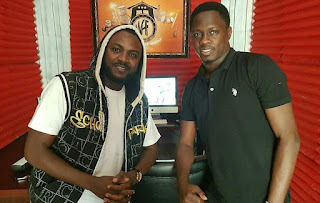 He asks his old friend, Dr Bello (Umar Malumfashi), a lecturer at Isham’s university, to find ways to punish him. Coincidently, Dr Bello is already at loggerhead with Isham over a protest the latter organises against the sale of a handout. Unknown to Alhaji, however, is that his friend has once tried to sleep with his daughter. Finally, Isham is framed and subsequently expelled. He is soon consoled and offered sponsorship by Fadila to study in any southern Nigerian university he can get admitted into. 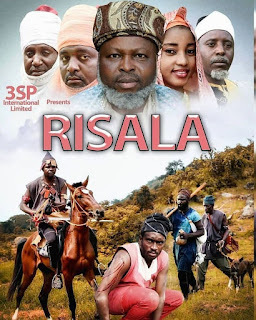 Alhaji Mahdi tries to marry Fadila off to her cousin whom he fosters at his house and sends abroad for studies. She rebuffs. Isham returns, and his relationship with Fadila is soon rejuvenated. The lady Dr Bello used in framing Isham asks him for her payment. He refuses, and thus she threatens to expose him. And, in the final scene, the Economic and Financial Crime Commission (EFCC) arrests Alhaji Mahdi for an undisclosed crime. But for a few slips, I would rate the film 4 out of 5. It goes with something a little bit below that score. The blunders responsible for this discredit include the use of pretentious lines in some scenes like where Fadila and Isham first meet. Although it is meant to express love, the language is too flowery and such is barely used for verbal communication. Go and watch even the BBC productions, and you will never come across something similar. 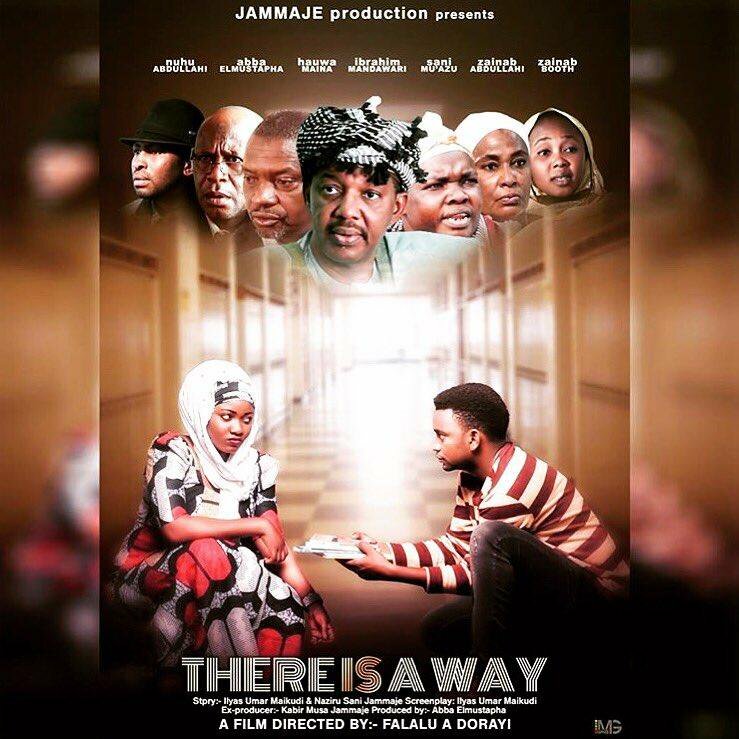 This besides, the film breaks new ground as the first (or second, if you like) Kannywood film wholly rendered in English. The grammar is virtually faultless save only in some instances in the subtitle. All the casts try their best possible in internalising their lines. It is only the character of El-Mustapha who speaks quite unnaturally. Moreover, the same voice of supposedly the executive producer of the film is used at least three times, by different characters. The dubbing could have been better and more lip-synched had the casts tried even if their English is not polished as such. And lastly, although Light and Darkness, another film to be released by the same company, is said to be the sequel to There’s a Way, the resolution of the story is at best hanging and at worst outrageous. Having just a sleepless night over a threat, which could be empty, by the lady Dr Bello hires to frame his victims is so much insufficient as a punishment to him. The same goes for Alhaji Mahdi; his arrest by the EFCC says so little after all his humiliation and sheer disgust of the poor. The film is about the endurance of the human spirit, true love and the exposition of some social vices in our societies and schools. No doubt, it was technically carefully shot; the cinematography is almost spotless. The lighting appropriately fits the ambience. The casts, as mentioned earlier, perform very well, especially Isham and the debutante, Fadila, among others. This credit must be shared among all the crew with the director, Falalu Dorayi and the executive producer, Kabiru Jammaje taking plump shares.